This past Thursday marked the 65th birthday of the great Roberto Duran, one of the most loved of all modern boxers, and the good people at the Top Men Boxing Radio Podcast decided it was only fitting and proper to pay tribute. After all, Duran is on a comeback of sorts, the visage more visible and his name more mentioned than both have been in decades. First there was Duran last year exchanging jokes and laughs with Sugar Ray Leonard and Thomas Hearns at the official announcement for Al Haymon’s Premier Boxing Champions. Then came word of a new Hollywood film about his ring career with none other than Robert DeNiro playing Duran’s legendary trainer Ray Arcel. 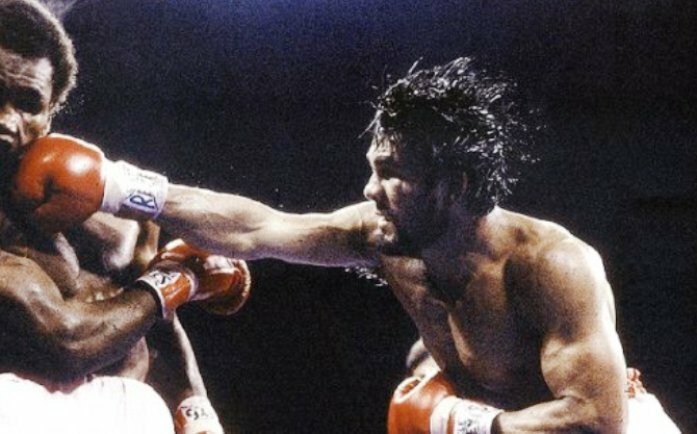 And then, recent weeks saw Duran training Sugar Shane Mosley and showing Sergio Mora a thing or two about in-fighting, as was recently highlighted by our own Lee Wylie, Roberto Duran fan extraordinaire. 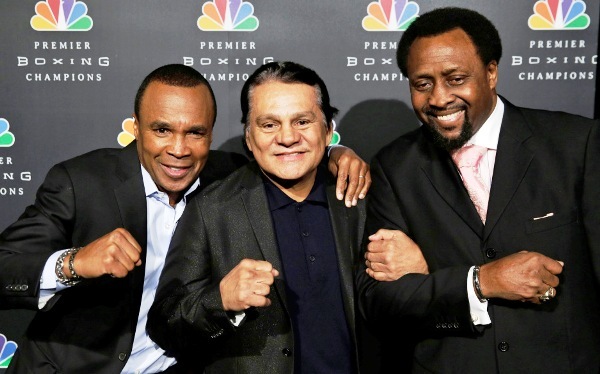 Leonard, Duran and Hearns last year. 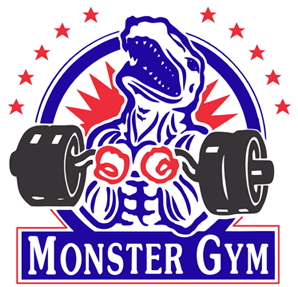 All of this has brought renewed interest and attention to Duran, but at The Fight City and Top Men Boxing Radio, there are no recent converts: we are all admirers of the great Manos de Piedra, as any real boxing fan has to be. Though that raises the question as to what exactly constitutes the appeal of Roberto Duran. On one level, it’s easy to explain: for more than two full decades, the name Duran meant excitement. He was that rare boxer who was almost always fun to watch. 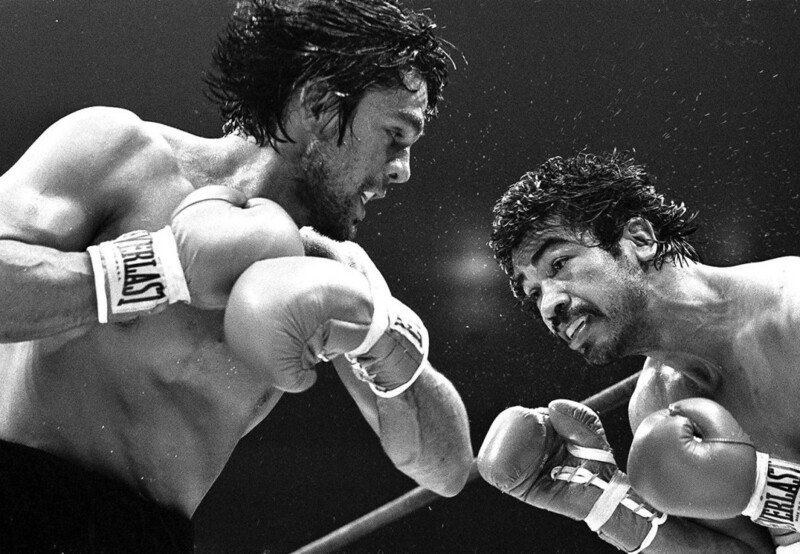 There was also the fact that fans recognized in Duran a true competitor and a fighter who, with one glaring exception, gave his all in the ring every time out. Part of what attracted them was the sheer joy Duran exhibited in the ring when he was at his best. Duran was that rare boxer who truly loved to fight, who in fact expressed himself through his ringcraft in the same way a skilled artist does with a paintbrush, or a gifted musician with a violin or a piano. 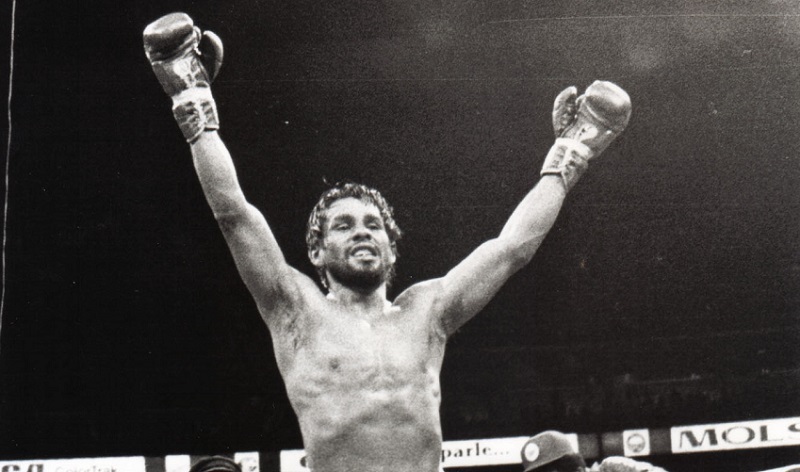 Boxing was the medium for Duran’s passion and defiant spirit, and his exuberance and originality inspired passionate fight fans to love him all the more. In the time following the “No Mas” disaster and his glorious win over Davey Moore in 1983, easily the most difficult period of Duran’s career, he unsuccessfully challenged Wilfred Benitez for the super-welterweight world title and for that match his entourage wore baseball caps and t-shirts inscribed with the simple statement, “Duran is Duran.” What other fighter — indeed, what other athlete — could be referred to in such a manner? 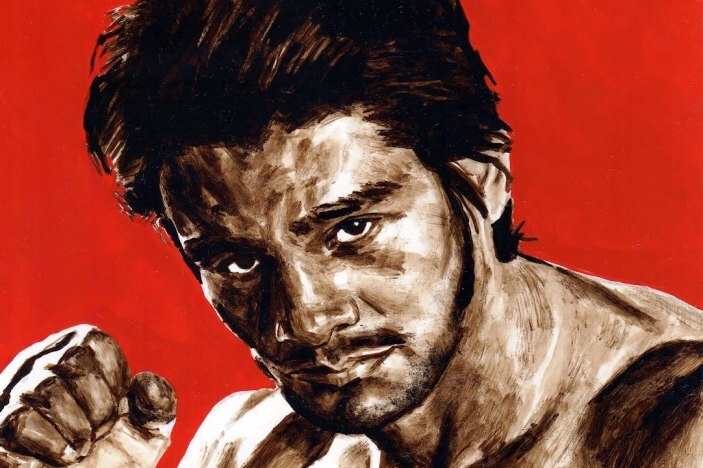 But the odd catch-phrase worked because it spoke to the many who had fallen in love with a unique public figure and an exceptional fighter, a boxer with a strange mystique and style that was his very own, that blend of savage aggression and sublime artistry which one witnessed only when Roberto Duran was firing on all cylinders. Duran’s status and popularity have never waned in the years since. He remains a legend and a figure of fascination for boxing fans and historians alike. 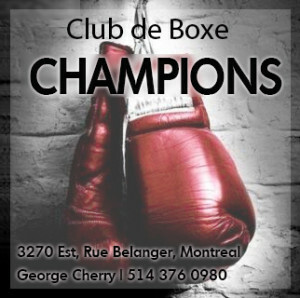 Few boxers have been more celebrated and he remains part of a very elite group of champions who are always mentioned when the discussion turns to who are the greatest boxers ever, pound-for-pound. Of fighters who have competed since say 1970, perhaps only Muhammad Ali is more loved. Follow Patrick and Aris on Twitter: @PatrickMConnor & @PunchZoneAris. 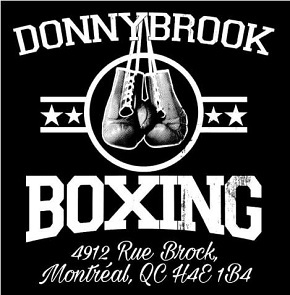 And click here for all the Top Men Boxing Radio episodes you’ve missed and get caught up on your boxing history and news.